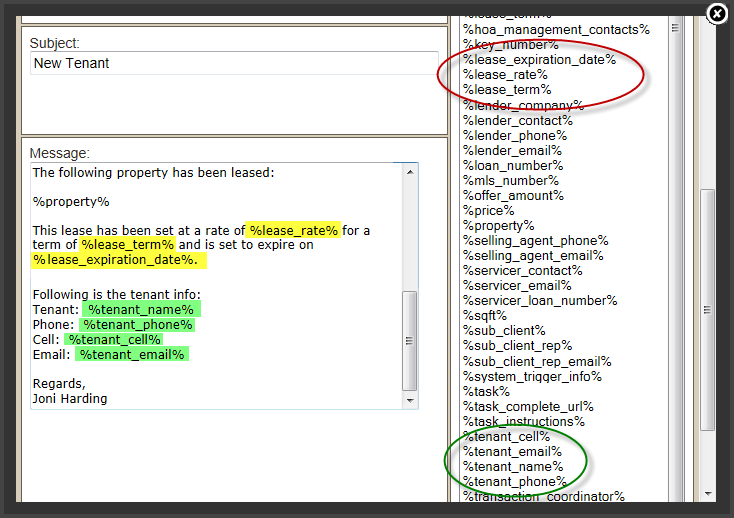 You can use the auto tasking feature within Broker Brain to send automatic email notifications containing tenant and/or lease information. This is accomplished by using macros in an automatic email. 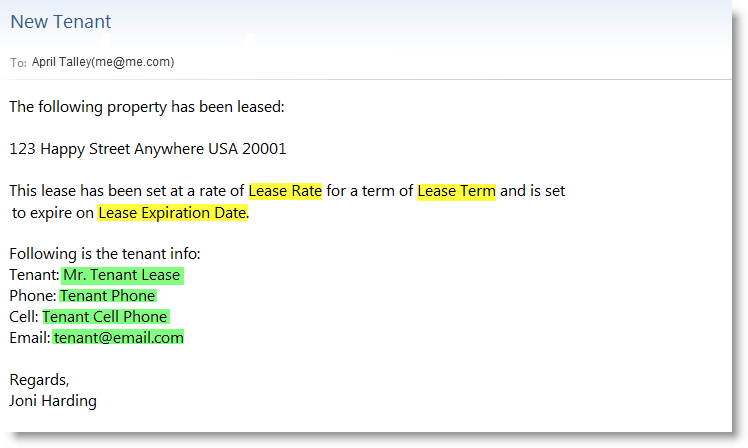 This automatic email notification was set up using the macros shown below. Click here for information on creating an automatic email notification.